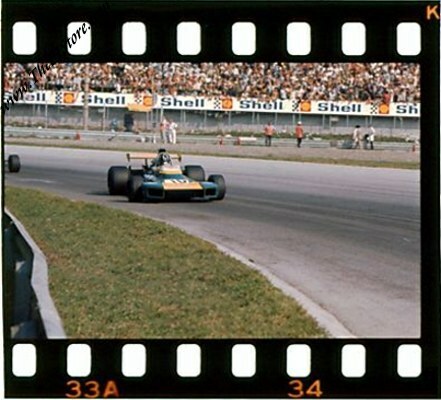 Vintage 1971 Color Slide of Graham Hill on Brabham BT34 at the Grand Prix Italy Monza. 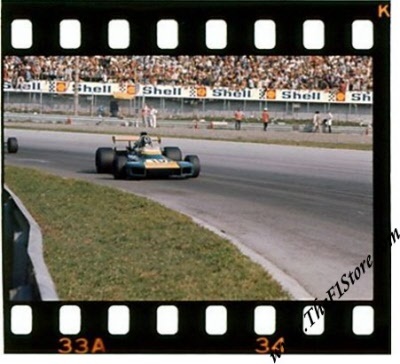 This is a vintage & original color slide of Graham Hill in his # 10 Brabham BT34 enroute to a DNF in the 1971 Italian Grand Prix at the Autodromo di Monza. Graham managed only a 14th spot in qualifying and dropped out of the race in lap 47 with gearbox trouble.